impactmania > Art & Culture > impactmania at the United Nations (UN) Studio! The interviewer is being interviewed! 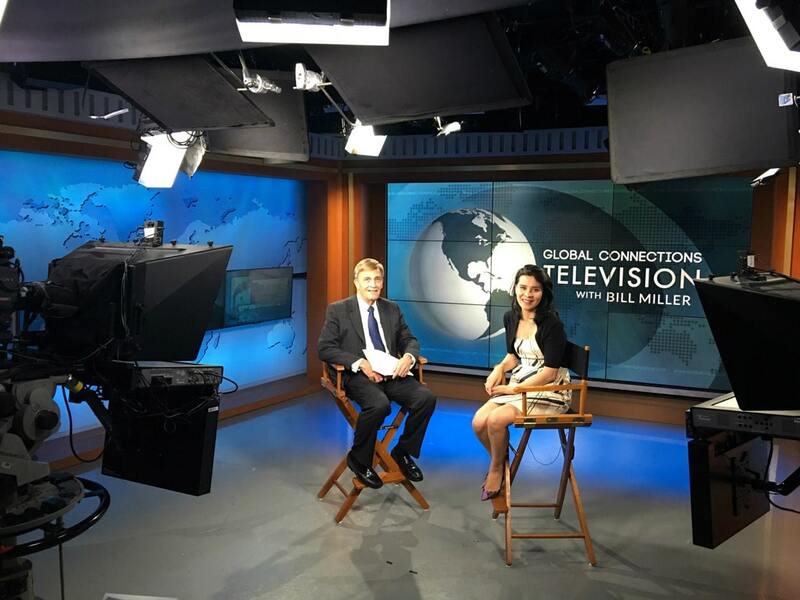 Host Bill Miller of Global Connections Television (GCTV) talks about the importance of the UN, the global issues he covers, and shares some of the interviewees that appeared on GCTV. 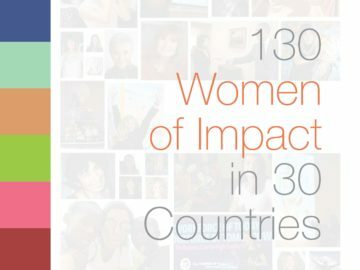 Paksy Plackis-Cheng introduces the online publication she founded: impactmania. GCTV is recorded at the United Nations Studio in New York, NY! 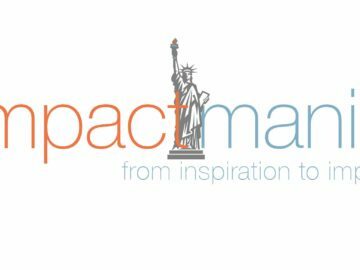 impactmania founded by Paksy Plackis-Cheng was launched at the University of California, Santa Barbara (UCSB) with the Mayor of Santa Barbara, California, on February 19th, 2016. 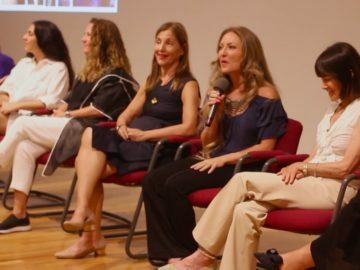 The United Nations featured one of impactmania’s video stories at the UN Global Compact Conference 2017 and at the United Nations Foundation site. 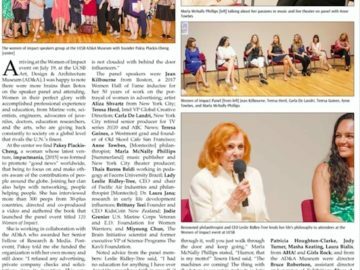 U.S. Presidential Award winner, Nobel Peace Prize Nominee 2016, Emmy award winner, Nine-time Grammy award winner, MacArthur Fellow (Genius Award), Two-time World Champion Boxer, Star Wars First Trumpet, Two of the 200 women venture capitalists in the U.S., Artist in Residence at the SETI Institute, Treasurer of the City and County of San Francisco, Congressional Candidates, Super Bowl champion, Van Gogh Museum, Berlin Philharmonic, adidas, PepsiCo, Google, and many many social entrepreneurs.